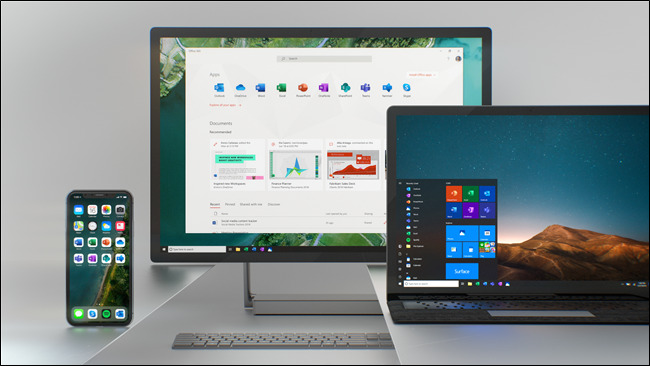 Last week, Microsoft revealed plans to modernize its Office icon suite, but it looks like the plan is bigger than just Office. In fact, this new design language appears to be part of a bigger plan for all stock Windows icons. If you scroll through your Windows machine’s start menu and just look at the Microsoft icons, you’ll see an array of styles and looks—some of which that date back quite a while. To modernize the look and feel of Windows 10, Microsoft will work towards updating these icons with a clean and consistent look. This move makes a lot of sense, as we’re living in a world where these refinements really matter. Apple has consistent design language across of its devices and Google has Material Design to keep a similar look and feel across its various services and operating systems. So it makes sense that Microsoft would not only redesign its Office icons—which haven’t seen an update in five years—but use this design language across the rest of the operating system. The updated Office icons are incredibly clean and modern looking, and I’m personally really looking forward to seeing the design take over the rest of Windows 10. Microsoft’s Head of Office Design Jon Friedman post a detailed Medium on the new Office icons last week, but it was only revealed in the comments (where Friedman answered reader questions) that the design will make its way to the rest of the operating system.